Stress relief is a difficult thing to learn when you're in the midst of a stressful situation. With the right tips and techniques, you can calm down faster than you might imagine. However, before you can make any changes, you have to believe that these tips are worth trying and that there is some possibility that you can live your life without stress. How can you start believing that you really can manage your stress? Sometimes, just latching onto the wisdom of others can help us believe in our ability to cope. Those who have conquered their worries and fears may teach us valuable information about stress relief in just a few words. We remember these stress relief quotes because they come from famous people, but it is the wisdom they contain that matters. Here are a few stress relief tips from people whose names you might recognize. The greatest weapon against stress is our ability to choose one thought over another. - William James. Doing something that is productive is a great way to alleviate emotional stress. - Ziggy Marley. Stress is caused by being 'here' but wanting to be 'there.' - Eckhart Tolle. If you ask what the single most important key to longevity is, I would have to say it is avoiding worry, stress, and tension. And, if you didn't ask me, I'd still have to say it. - George Burns. For fast-acting relief, try slowing down. - Lily Tomlin. In times of life crisis, whether wildfires or smoldering stress, the first thing I do is go back to basics… am I eating right, am I getting enough sleep, am I getting some physical and mental exercise every day? - Edward Albert. You can't always control what goes on outside, but you can always control what goes on inside. - Wayne Dyer. When I look back on all these worries, I remember the story of the old man who said on his deathbed that he had had a lot of trouble, most of which had never happened. - Winston Churchill. These quotes remind us that we do have choices in life. Sometimes, the greatest stresses come from feeling we are stuck in a situation. Once we realize we can make a different choice, we feel more powerful and in control. We can choose to think differently, live in the present moment, take care of ourselves, and channel our nervous energy into something more productive. So, take a stress relief tip from someone you admire. Memorize it and think of it when life seems overwhelming. It could make an amazing difference in the way you approach your challenges. It's great to get a general idea of what it means to relieve your stress, but until you learn specific ways to do that, your worries may be hard to banish. The good news is that people have been developing stress relief techniques for thousands of years. Learning these techniques can help you move from the theory that stress is manageable to the reality of living a calmer life. One age-old stress relief technique that is still as popular as ever is using breathing exercises to calm down fast. By slowing down your breathing, you can slow down your heart rate, making you feel more relaxed almost instantly in some cases. Also, focusing on your breath helps you slow your racing thoughts and ease your worries. Progressive muscle relaxation is one of the best stress relief techniques when your muscles are tense and tight from being on edge all day. Lie on the floor and start the process with your feet. Tighten the muscles in your feet, hold for 20 seconds or more, and then release. Continue up your body, one muscle group at a time, until you finish with the muscle groups of your face and head. Now, lie still and enjoy the feeling of total relaxation. 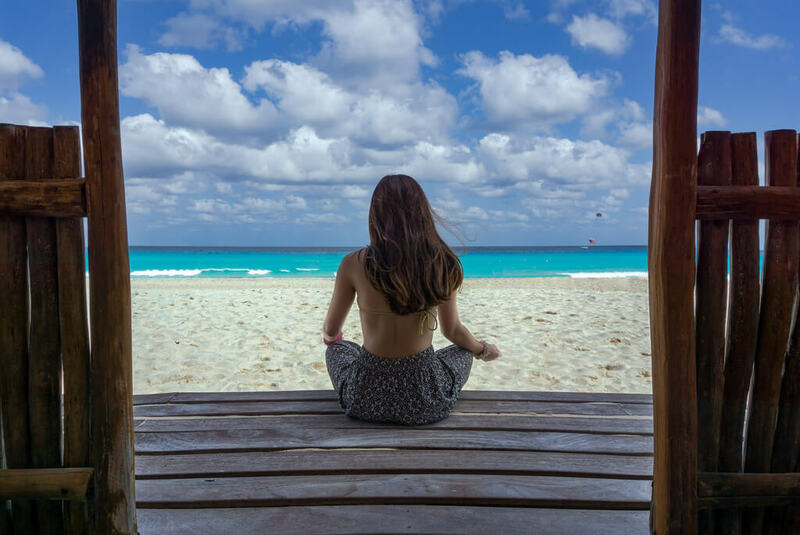 People have practiced meditation in cultures around the world for millennia. Now, modern people learn meditation to help them stay calmer in a hectic, worry-fraught world. In the stillness of a meditative state, you can practice letting your worries pass in and out of your mind, noticing them but not dwelling on them. After a session of meditation, people often have greater insight into the problems that are holding them back. They feel more relaxed and capable of handling whatever comes. Mindfulness is a way of being fully present in the here and now. Whether you are practicing mindfulness while sitting perfectly still or while engaging in some activity, the key is to pay attention to the information you're getting from your five senses. As you do, worries and thoughts of the past and future recede. This puts you squarely where you need to be: in the present moment where you can do what needs to be done and act on the choices you make. Writing is a fantastic way of releasing the emotions, worries, and fears that come to you every day. While you're writing in your journal, you can also record your thoughts and feelings throughout the day, so you can come back later and look at them objectively. You can do problem-solving in a journal as well, and if you're working with a counselor for stress management, you can share your difficulties to get feedback and input on how to do manage your stress in even better ways. Cognitive reframing allows you to look at a stressful event or situation in a new way. This is a stress relief technique that you can learn from a therapist. You examine your thoughts and, with the help of your counselor, determine if they are working for you. Then, if you need to, you can choose thoughts that are better-suited for overcoming stress. No longer paralyzed by worry and fear, you can take the actions needed to improve the situation. Lifestyle changes take time to implement. Most people can't quit using nicotine, tobacco, or alcohol immediately. People who haven't been eating properly or exercising regularly may need some time to develop new habits. Even if you do make quick changes, it will take time for your body to recover from the abuse you've been doing to it. However, once you implement lifestyle changes, other stress relief techniques are more effective and work faster. Do you put all your time and energy into making a living or building a successful career? It's crucial to be financially secure, and having a successful career can be a source of great satisfaction in life. However, you need to balance all that occupational drive with time for relaxing. Take some time away from work when you don't have to do anything in particular. Take a vacation, play a sport, engage in a hobby, socialize with friends - whatever seems most relaxing to you. Your stress will go down quickly, and as a bonus, you'll be more productive when you do go back to work. Adopting healthier thought patterns is always helpful, but don't ignore your body. When you exercise, you supply more oxygen to your brain so that it works more efficiently. When our minds are refreshed, we naturally feel more positive. Exercising can also decrease your susceptibility to illness and diseases like diabetes or high blood pressure. When you stay healthier, everything you need or want to do is easier. If your stress is so severe that it's causing you physical or mental health challenges, you may need to see a psychiatrist or other doctor who can prescribe medications to relieve your stress. These medications are sometimes the best way to manage stress as you learn natural stress relief methods. 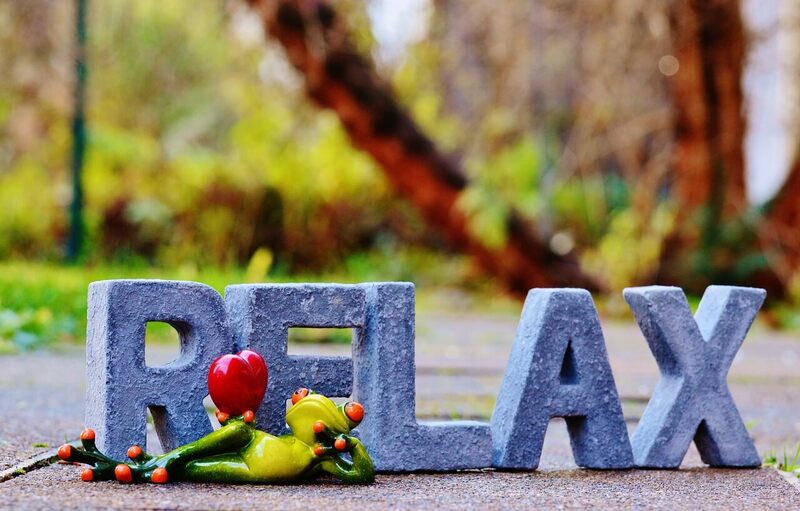 However, whenever you can, choosing natural stress relief helps you avoid becoming dependent on a medication that may cause serious side effects. You can use natural stress reduction techniques for the rest of your life without damaging your physical or mental health. In fact, you'll likely improve your health. At the same time, the natural methods continue to work and even work better with time, while medications may lose their effectiveness if you're on them for long. 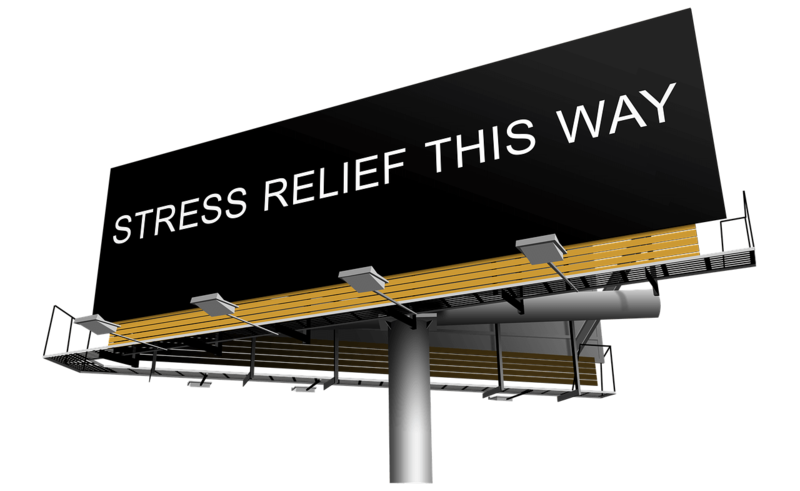 Natural stress relief is also better than medications for a few very practical reasons. You don't have to buy anything to practice natural methods. Also, you don't necessarily have to bring anything with you to practice stress management whenever and wherever you want to or need to get relief. Should I Try My Friend's Stress Relief Tip? If your friends know you're trying to get relief from stress, they may suggest a variety of stress relief tips. Perhaps they've taken a stress management course, been in therapy for stress management, or read a book or article on the subject. Their ideas may indeed help you a great deal. But, how do you know whether to take the advice of someone who isn't an expert? Start by answering the following questions. Not all drugs or even herbal remedies are safe to use without the approval of a physician. Even strenuous exercise can be unsafe for you, because it may be too much for you if you've lived a sedentary life for years. What helps one person may make another person physically or mentally ill. Find out if the stress relief techniques suggested to you are safe or dangerous - not just in general but for you in particular. If you have any doubts, ask your doctor. Is It Good for Your Mental and Physical Health? The best stress relief techniques go beyond the basics to improve your physical and mental health. Making positive lifestyle changes, for example, not only helps you with stress but can also make your body more efficient, increase your strength, and improve your immune system. All this, in turn, gives you a more positive outlook and makes it easier for you to deal with mental health challenges other than stress. Is There a Time or Money Commitment? You have to be able to make time as well as room in your budget if you want to use certain effective stress relief techniques. It is important to consider the time and money aspect before committing to certain stress relief options. For example, while it's great that taking a vacation can relieve your stress, it won't help much if it takes you away from a crucial work or family event or puts you in a financial bind. Your peace of mind is certainly worth the investment of time and money if they're available. How Do I Find the Best Stress Relief for Me? The stress relief techniques listed here are only a small fraction of the myriad of options you might want to choose. The easiest and most efficient way to find the best stress relief that works best for you is to work with a counselor who knows more of these techniques than any of the people you may see on a typical day. They not only know the techniques, but they set aside time specifically for helping you. They can also help you deal with issues that are causing you more stress and give you a variety of tools to help you manage your stress. You can find licensed counselors with the right training and experience to help you deal with your stress. Some therapists specialize in stress relief or even have extra training in the subject. At BetterHelp.com, you can find such counselors. They provide online counseling through your smartphone, tablet or computer. You can start right away. Soon, you'll know how to calm down fast and stay relaxed through all the daily challenges you face.